We haven’t seen a decent Ridley Scott film in a while. Prometheus, although decent, was overall quite disappointing, and The Counsellor flopped miserably at the box office, despite its quirky, novel theme and a stellar cast. Next up for the director is this. A biblical epic featuring Christian Bale who’s riding high after the plaudits he received for American Hustle, and on paper at least, Exodus looks like it might be worth a look this Christmas. 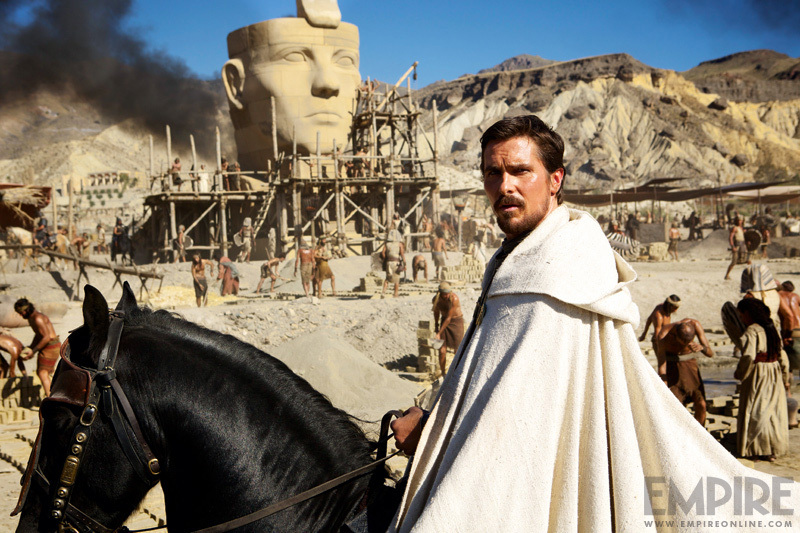 In the film, Bale plays the prophet Moses and the plot charts his journey as he leads the Israelites out of Egypt into the Sinai desert and eventually to their Promised Land. Bale rarely ever goes wrong, Scott seems to be in familiar period drama territory, (remember Gladiator? ), and with a heavy duty cast comprising of Joel Edgerton, Aaron Paul, Ben Kingsley, John Turturro and Sigourney Weaver as Tuya, the mother of Ramses, I have high hopes from this one. As an aside what’s the fascination with the Biblical era this year? We also have Noah which stars Russell Crowe and Jennifer Connelly releasing this year, and that looks promising too from its initial trailer at least. What are your expectations from Exodus? Do let us know below. Cramming in too many over indulged characters and possibly with delusions of things grander than itself it is a real shame this tawdry tale of confidence tricksters and underhand deals was not tightened up and properly cast, says our columnist Ralph. The first trailer for Darren Aronofsky’s epic, Noah starring Russell Crowe has landed, and looks pretty impressive. Check it out right here. A sneak peek at Ridley Scott's multi starrer revolving around drug trafficking.